Athens 18/7 Plaka Sitting at the balcony of the old Jewish Museum of Athens, before it moved to Nikis street at the Plaka. This is another Sunday walk through the wonders of the Plaka. I look at the carved marbles scattered on the ground near the Tower of the Winds… stones carved by a craftsman that has long past away together with his craft… I keep walking all day and I constantly find myself under the Acropolis looking at the Parthenon… I am in love with this part of Athens; the part of the memories; the part of nostalgia; the part of day-dreaming. The Acropolis has become like a point of reference to my explorations. The classical ruins have a unique relationship with the Greek blue sky. Here at the Erechtheion I can see the sky through the building, making it at the same time solid and transparent; it is both a building and a screen, a series of layers; it is rich, diverse and surprising. Back to the Acropolis sketching the Erechtheion and a year later the Caryatides. I couldnâ&#x20AC;&#x2122;t resist using my soft pencil instead of the sharp pen. to record the softness of the forms, the lightness of the composition, something that the pen cannot show accurately. I am looking for this feeling of lightness and sensitivity. Athens 9/9 Plaka Next to Kidathineon street in Plaka, I â&#x20AC;&#x153;discoveredâ&#x20AC;? Piranesi - Giovanni Battista Piranesi, one of the greatest Italian artists of the 18th century. I sketched this street having in mind a composition by Piranesi. The result was unexpected, exciting, and quite dramatic. The dark foreground and scenic dark frame, opens up to a bright background, where the subject of the drawing is located. Athens 10/9 National Technical University on Patision Ave.
How privileged are the Greek Architecture students to study inside this beautiful neoClassical setting; how unique! Like most neoclassical buildings it is laid out symmetrically, in a Greek â&#x20AC;&#x2DC;Pâ&#x20AC;&#x2122; form, creating a magnificent front courtyard that has marked modern Greek history. The building is beautifully detailed The overall composition is formal and imposing; however, the organization of the buildings is open, airy, moving, inviting, inspiring. Light and shade are dramatically captured in a summer afternoon, as they play with the rich architecture of the Doric order. 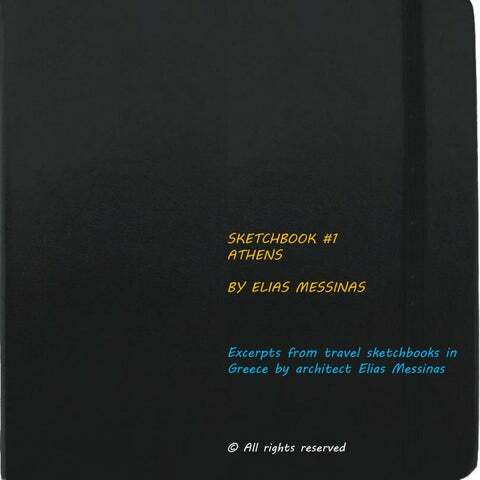 TRAVEL SKETCHBOOKS By ELIAS V. MESSINAS, ARCHITECT Greek-born practicing architect with a focus on sustainable design, graduate of Yale School of Architecture, Bezalel Academy and National Technical University of Athens. 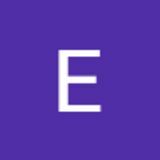 Author of books, catalogues, and numerous articles. Recipient of research and publication grants from Graham Foundation, WMF and the Getty Grant Program. Founding chairman of international NGO ECOWEEK. Elias’ sketchbooks are being written and sketched since the late 1980s and include sketches, drawings and notes from his travels in cities in Europe, the Middle East and North America. Elias’ sketchbooks have been exhibited at the Yale Art & Architecture (USA, 1990), the Athens College Theater (Greece, 1995), the Jerusalem Theater (Israel, 2002), and the Israel Museum exhibition ‘Journeys’ (2014-2015).